I'm going to try it! 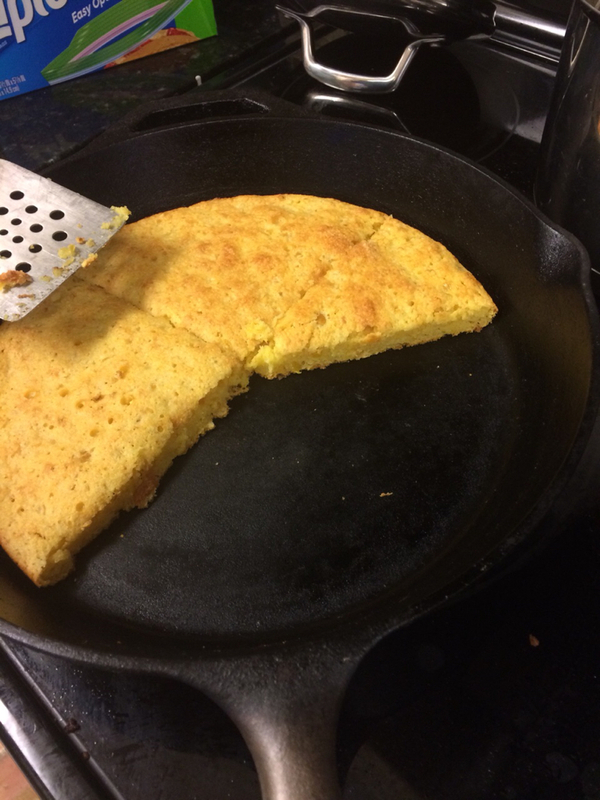 We can build adobe huts using my wife's current cornbread recipe. I love putting any leftovers in a glass of cold milk. throw in some green chilies and you are good to go!! Yesss! My grandad taught me that when I was young. My wife and her family think I'm nuts. In a glass of buttermilk is pretty darn good, too! Please explain "...buttered in the oven..."
Yessir! Love mine in a bowl with milk ! Love me some Cornbread. It goes great with almost anything! Is that a 10" skillet? Copy - paste - save. Cornbread and beans....hard to beat. Jiffy is he only way to go. The cream corn makes it sound even better! I made this tonight using my Lodge 10SK skillet. The cornbread was fantastic. I normally use Jiffy in cast iron but this recipe took it to the next level. I thought it was too big of a pan. I have a slightly smaller skillet I will use next time or I will double up the recipe to get a thicker piece. Thanks for the recipe. Last edited by thegrouse; 12-10-2017 at 06:14 PM. I did the same thing tonight. Great combo. Thanks to the OP for posting the recipe up. I am now inspired. Last edited by huntingfanatic; 12-17-2017 at 07:31 PM. And Since my cast iron skillet is a 12” I doubled the recipie. That did NOT work. I coked it forever and it never did get done in the middle! I just put a skillet full in the oven.